We have an exciting time ahead of us with an awesome selection of new releases — just take a look at that list! And to top it all off, we’ve finally reached an important milestone in the history of comics, with Action Comics #1000 launching this week. Be sure to let us know what we can save for you, and we’ll do the rest. Don’t forget that there are some thrilling events coming up soon, too! 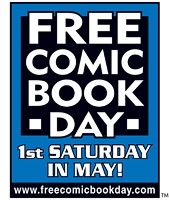 First will be Free Comic Book Day 2018 on Saturday, May 5th, followed by our Spring 2018 Comic Book Show & Sale on Saturday, May 19th. Stay tuned for all the details, and we’ll see you soon!